Fulgor Milano is a family owned Italian company, manufacturing premium quality home appliances including, professional ranges, range hoods, wall ovens, cooktops, and product related accessories. Fulgor Milano offers premium freestanding ranges with various styles and modern features in these series: Sofia or 600. Freestanding ranges, unlike built-in models, offer greater freedom in placement of the unit and flexible installation options. Fulgor Milano freestanding ranges measure at 30" or 36" wide. Decide which fuel type makes sense for your home: dual fuel, electric, or gas fuel models. 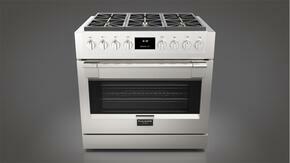 Design your preferred cooktop configuration: four or six burners in smoothtop or sealed burner types. 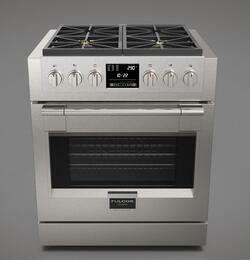 Select ranges are equipped with an induction cooktop. 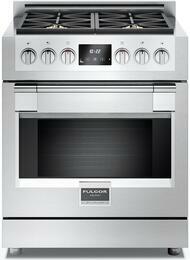 Fulgor Milano freestanding range oven feature options include convection cooking, self-cleaning modes, and delay bake programs. LP conversion kits are included with certain ranges. Select models include key features such as true European convection cooking which ensures even heat distribution throughout the oven cavity. 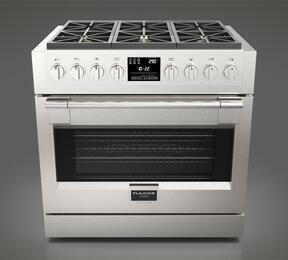 Heavy-duty, continuous cast-iron grates allow for easy repositioning of pots and pans on the cooktop. 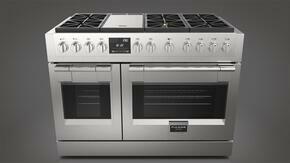 Four pane glass windows and internal halogen lights offer a convenient view of the oven interior. 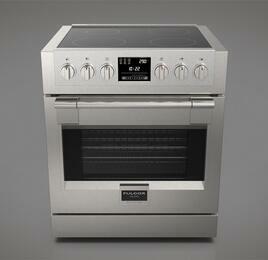 Digital display offers precise control over cooking and timer functions. 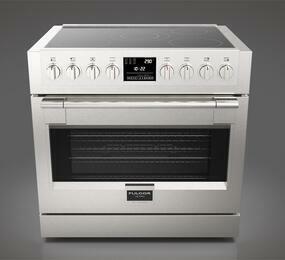 Accompany your freestanding range with some of Fulgor Milano’s other high-quality products. For efficient ventilation choose a premium Fulgor Milano range hood. Complete your range setup with some of Fulgor Milano’s convenient range accessories. 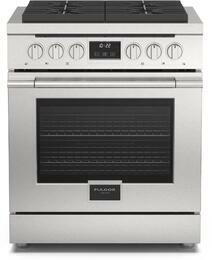 Outfit your home in refined style by building a complete Fulgor Milano kitchen appliance package. 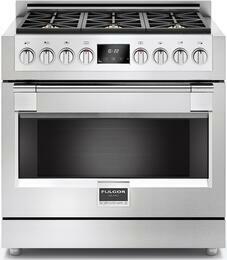 Check out Fulgor Milano rebates for additional savings!